It’s already been a pretty wild off season in the NHL with lots of big names changing teams. As we are in the dog days of summer, we might as well get prepped for the 2016-17 season and discuss the fantasy impacts of all these moves. I introduce to you Offseason Fantasy Quick Hits. I will be discussing the fantasy impact of all major moves made by all NHL teams over the course of the summer. Part eleven of the series previews the Detroit Red Wings for this upcoming season. The Red Wings last missed the playoffs in 1990. If they missed it in 2017, I wouldn’t be shocked. 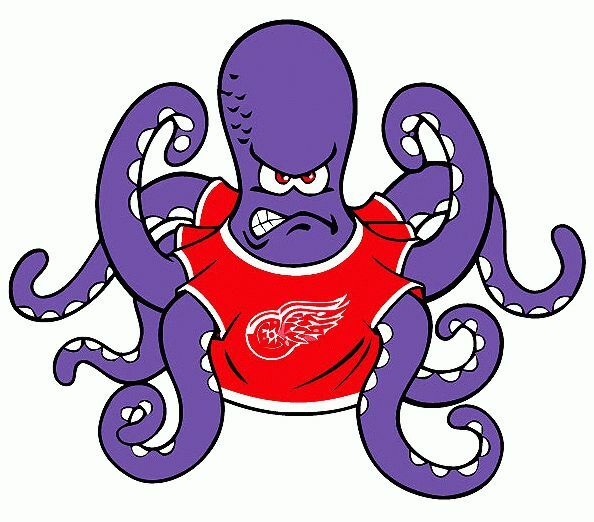 I have a very pessimistic outlook from a fantasy and real life perspective for the Red Wings this year. Pavel Datsyuk (who was one of the most naturally talented and skilled players ever in the NHL) has gone home to Russia to play in the KHL. Brad Richards (not that he had much fantasy impact last year anyways) has retired. Henrik Zetterberg – Another year older. Last year was the first glimpse of him showing his statistical decline. Opposing teams will be narrowing in on him to shut him down. He could top last year’s 50 point output but I wouldn’t really expect much more at this point. He’s no longer a top guy to draft, and I probably wouldn’t even draft him at all unless he really fell to the late rounds of my draft. I think his name holds too much value for him to fall that far, so I’ll let someone else pick him. Dylan Larkin is the only guy who really excites me. He’s risen quickly as a top prospect. Still I don’t see him topping 60 points this year. And that would be an incredible year for him. Gustav Nyquist – Meh. I’d probably stay away in fantasy. He’s too inconsistent to be anything more than a 50 point guy. Tomas Tatar is another 50 point guy. I’d maybe take him as a late round pick if he’s there but there are also probably better options for you in your draft. 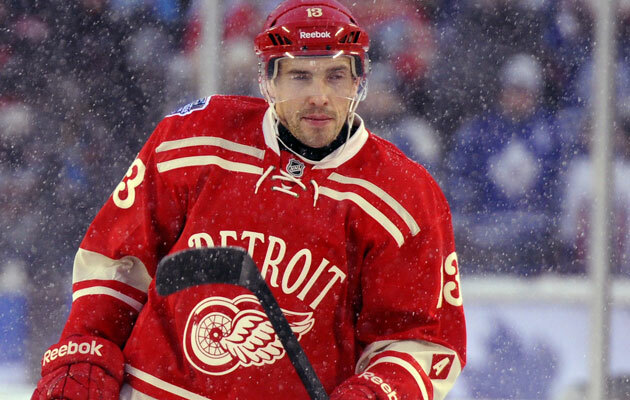 The departure of “The Magic Man” Pavel Datsyuk may signal the beginning of the end of a very long playoff streak in Detroit. Tomas Jurco may be ready to take the next step and be a full-time regular for the Red Wings, but still don’t expect more than 50 points. Defenseman Mike Green and Niklas Kronwall are draftable defense, but they really aren’t more than 35 point guys at this stage in their careers. Maybe Green can put up 40, but he’s injury prone and for d-men I’d probably look elsewhere. Also, I don’t think you should draft Danny Dekeyser, who was overpaid with a massive extension this offseason. Newcomer Thomas Vanek hasn’t been very good in Minnesota the past 2 years. Maybe the change of scenery will do him good. He will likely get good powerplay time and play with Zetterberg, but I still don’t like him as more than a 25 goal, 50 point guy until he proves he can play like he did in the past. I’d probably avoid him in drafts this year. Newcomer Frans Nielsen is a consistent 50 point guy. Expect more of the same this year. Petr Mrazek is definitely the more talented goalie of the netminders in Detroit. I’d definitely draft him as he has put up some solid numbers at every level he’s played at. He just signed for a decent amount of money too which should guarantee him some playing time. The only thing I’m wary of is that Jimmy Howard makes too much money to be a backup goalie that only plays 20 games. I’d guess at this point that Mrazek gets about 50 starts and Howard 32, but that estimate is one hot or cold streak away from changing. Howard could take the ball and run with it, but of the two, I like Mrazek way better. If I did pick Mrazek I’d probably try to add Howard as well, even though I’m not really high on him. Generally I prefer goalies in fantasy who are clear cut starters. I wish I had more to say but I don’t. Evgeny Svechnikov and Anthony Mantha may be fantasy relevant down the line but I don’t think they will be this year.